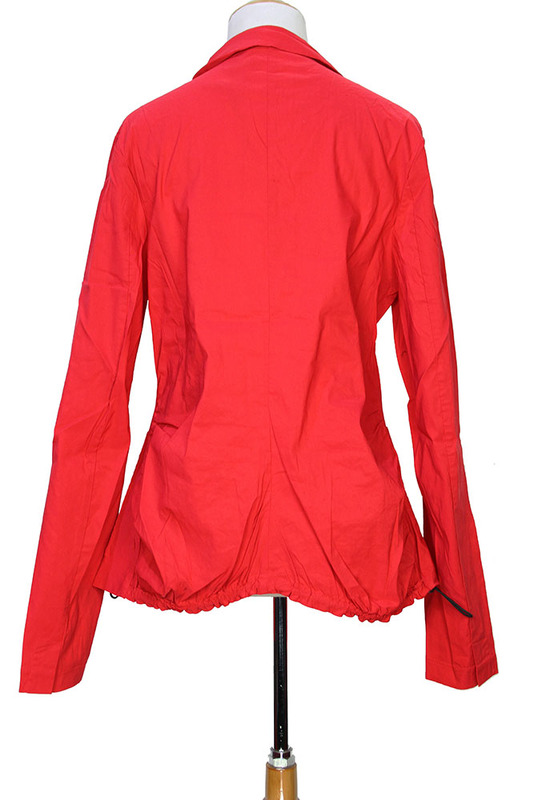 Rundholz Black Label stretch fabric, fitted jacket in red colour. Collar with notched lapels. 5 button fastening with placket hiding buttons. Vented cuffs. 2 patch pockets. The rear panels are ruched where they meet the front panels on both side. Great jacket easily mixed with other garments.